Hi, my name is Philip Crowther. 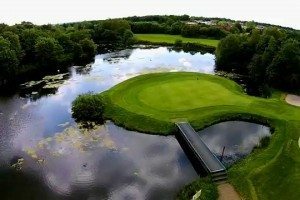 I am British, originally from the Great Yarmouth area of Norfolk and took up golf about 20 years ago while in my early forties. I predominantly played on seaside links golf courses in the UK and have worked and played golf in many locations around the world. Sadly, old age and lack of playing opportunities have slipped me back to a 28 handicapper these days. 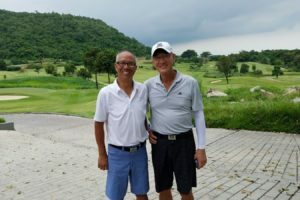 Although I have played in many locations around Asia, this was my first golfing visit to Cambodia. I organised this trip with five of my male work colleagues. 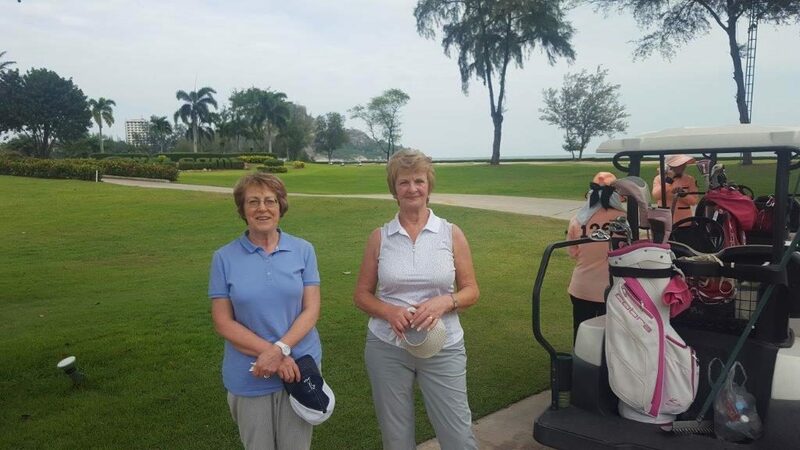 Four of our wives came on the trip, but did not play golf. However, they all thoroughly enjoyed themselves with shopping, spa treatments and visiting Angkor Wat. 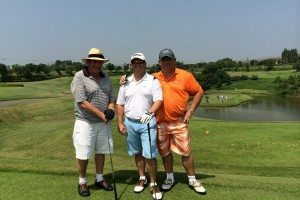 This was a 6-day visit and we stayed at the Aviary Hotel in Siem Reap, playing 3 days golf at Phokeethra & Booyoung Country Clubs and the final round on the Nick Faldo course at Angkor Golf Resort. The hotel, staff and service were first rate and I quite happily recommend the hotel and would stay there again. The Cambodian people were wonderful, friendly and readily accepted ‘No’ when you didn’t want to buy something. 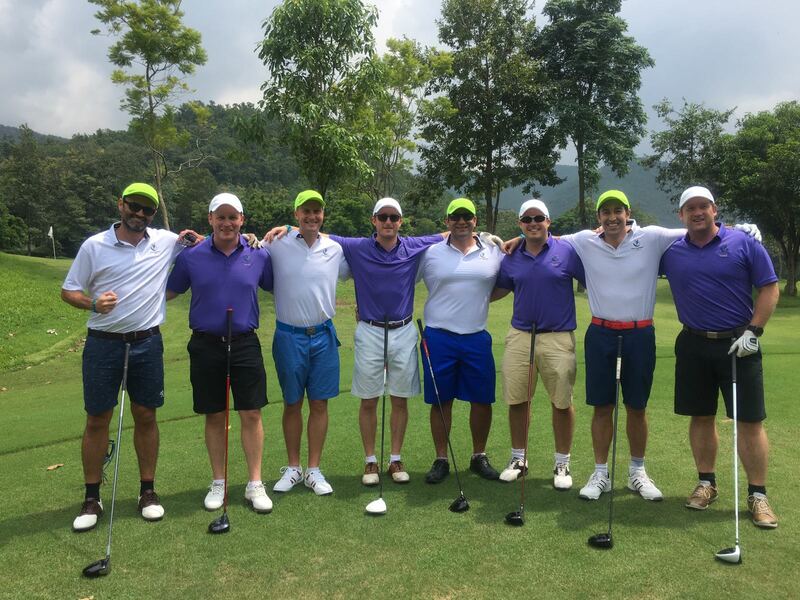 Overall the golf experience was fantastic, all the courses were in very good condition. 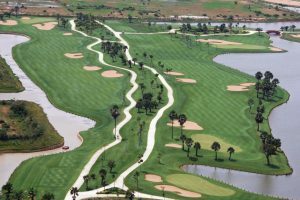 However, the Faldo course at the Angkor Golf Resort was quite clearly the best of the three. The whole package, from their free driving range facility to the caddies, course and club house / restaurant were 5 star. The bunkers on this course were also very consistent throughout the course, and I know because I found enough of them on all three courses. Most nights we all met up for a group dinner on Bar Street, with the Red Piano Bar Restaurant quickly becoming our local haunt. I cannot recommend this experience too strongly. 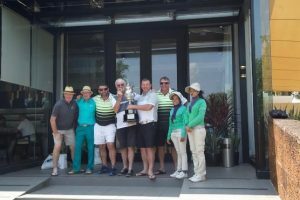 We were looked after very well by Golfasian, from their handling of the enquiry to all the logistics, everything went smoothly. 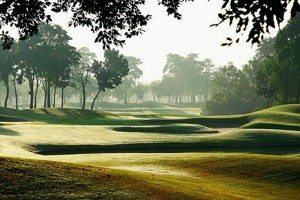 As for golfing in Siem Reap, it’s ideal for golfers and non-golfers, particularly couples. Now it’s just a case of where next? Hi, my name is Bill Donovan. 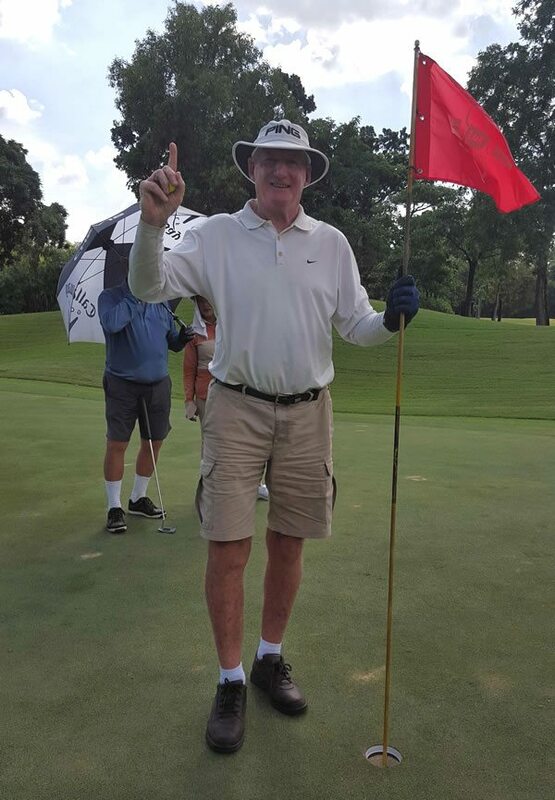 I have played golf seriously for 34 years. 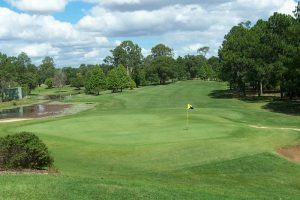 My current handicap is 10 and I am a member of Pacific Golf Club at Carindale in Brisbane. 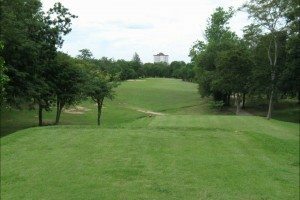 Pacific is an 18-hole championship golf course in a parkland setting, with water on 16 of the holes. It is a very challenging layout. This is my 6th trip to Thailand and my 3rd trip to Hua Hin. 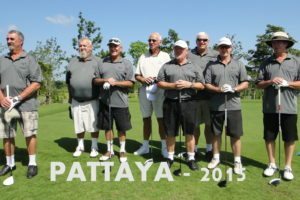 Our group, 6 males all from pacific Golf club, have been to Hua Hin 3 times, Pattaya twice and once to Chiang Mai. 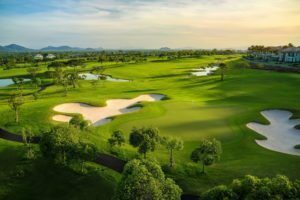 Hua Hin is our favourite golfing destination in Thailand. 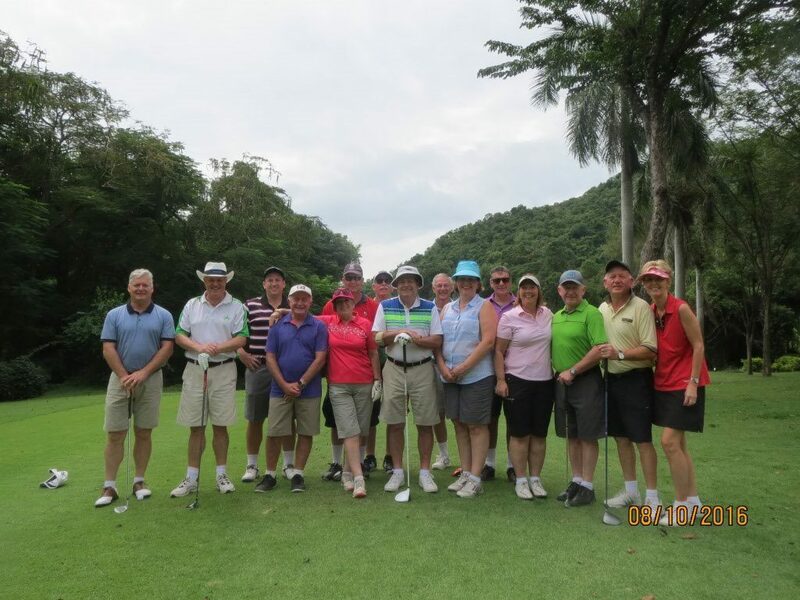 We have booked the last 5 trips through Golfasian and they have been fantastic. 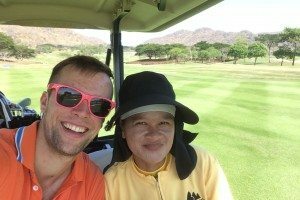 Our last 3 trips have been booked through Fai at Golfasian and she has done a terrific job. 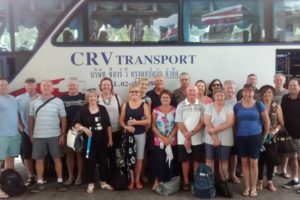 Many years ago, one of our friends went to Thailand and absolutely raved about how good everything was and this prompted us to organise a trip. Most of our trips involve 6 games of golf. We play 2 games then have a rest day. We normally go there for 10 days. 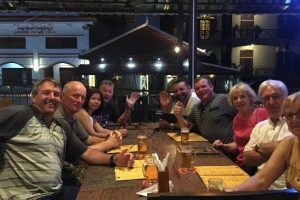 Thailand is fantastic, the people are friendly and always happy, the food is fantastic (even in the street stalls) and the beer is also relatively cheap. Accommodation is really good and we always try to get a hotel near the entertainment areas so it is an easy walk home. 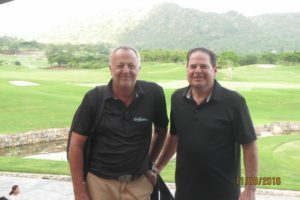 Through Golfasian, we always have breakfast at the hotel, then lunch at the golf course. The meals at most of the club houses are great and what better than to have a shower and change, then a cold beer with a nice lunch to recharge. 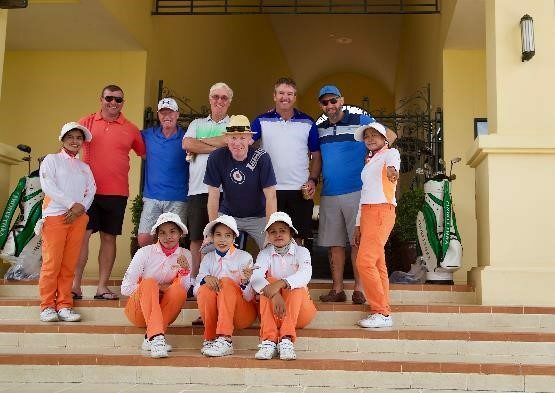 Our group really enjoyed the golf courses, the caddies, the course designs/layouts; bottom line, there is nothing to not like about the whole experience. We have done trips to Singapore and Malaysia but prefer Thailand. We always schedule our trips in November hoping that it may be a bit cooler, and fortunately our last trip was really good, as it can get very hot. The caddies are great fun but also quite knowledgeable mostly. After a couple of holes they know your distances and what club to hit, and are also good green readers in the main. 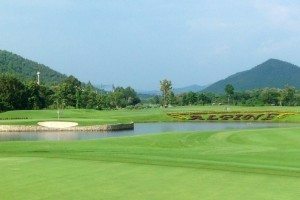 Our favourite Thailand golf course is Black Mountain in Hua Hin. It is just a great course in terms of conditioning, design and overall presentation. Realistically, we haven’t come across a ‘bad’ course yet. 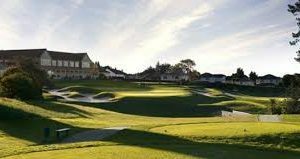 I was a bit disappointed with Burapha as my logic is, when travelling for golf, you want to play great courses and designs. I found Burapha a bit boring. The last trip we played mainly “ambrose” and “3BBB” stablefords, which made the trip very relaxing, and not too competitive. On one ambrose day, my group had 7 birdies in a row!! After golf we always went for a massage. I usually had a traditional Thai massage and they are fantastic. We tell the masseuse that we are in Thailand playing golf so they tailor the massage more along sports lines. If we finished golf early, we would either go shopping or have a swim in the hotel pool. Each night we all went out for dinner at various restaurants and the food is great and not expensive. 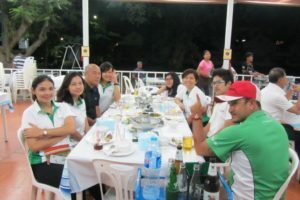 After dinner, we sometimes went to the markets shopping and some of the group continued on for a few drinks and games of pool, while the others went back to our hotel In Chiang Mai. We went on an elephant trek and some did the Tiger temple on a day off. Despite all the visits we’ll be back for more…and always with Golfasian. My name is Catherine Capozzi, and I’m from the golfer heaven state of Arizona in the US. Now, I live with my husband in India. Despite growing up in a place renowned for golf, I can’t say I’m very good at the sport: we don’t belong to any golf club, and the extent of our practice involves playing 9-hole courses around sunset at a discount. Nonetheless, my husband and I have made a concerted effort to improve our swing every time we go back to visit Arizona in the winter. 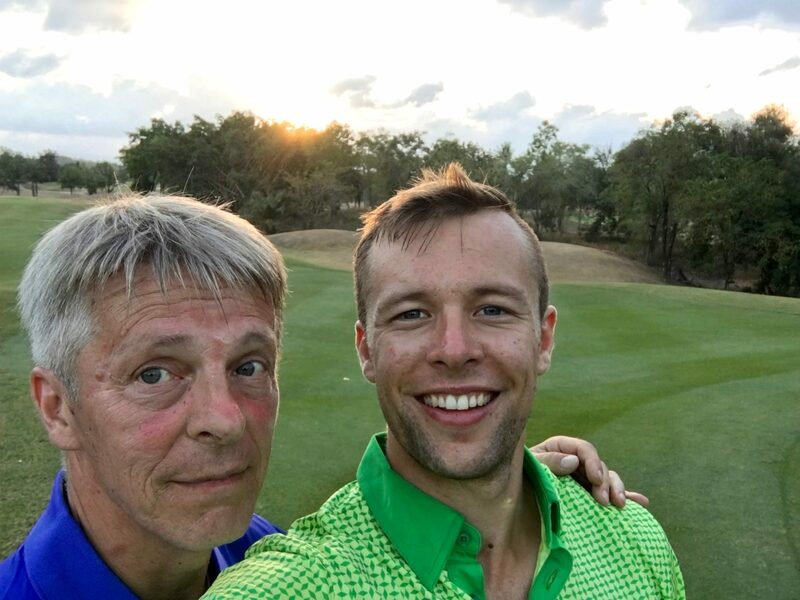 And in this case, we decided to bring our burgeoning love of golf with us on vacation to Myanmar. 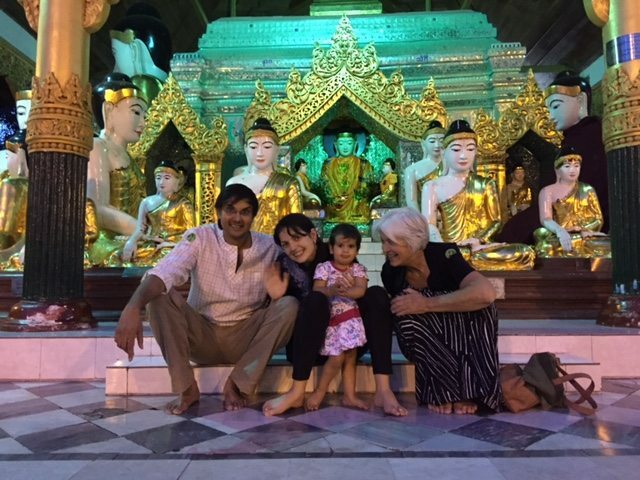 Myanmar had been on my family’s radar for some time: We knew it was an up-and-coming destination that hadn’t succumbed to the usual touristy pitfalls of over development and pollution. 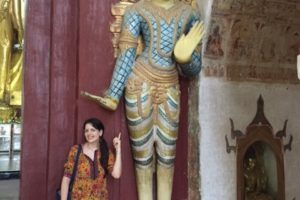 We heard it was rustic, clean, full of Buddhist history, had amazing cuisine and friendly people. All of these things proved correct, especially the hospitality. The unspoiled nature was easily one of the best parts, and I was amazed at how pristine the country was. 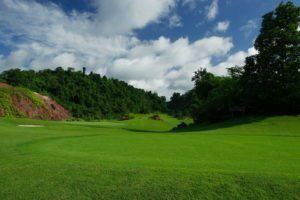 We didn’t think Burma and golf would go hand-in-hand, but the courses were actually quite beautiful. They unfortunately didn’t have left-handed golf clubs and we didn’t bring ours, so we had to alternate between using the back of a 5-iron for the left hand, or practising with my right and toting around the 7-iron as my defacto club (not that it helped). Thankfully, we found every bad swing rather amusing. If we were smart, we ‘d have brought our own clubs. The caddies were the real heroes of our game, because they were out in the rough fishing out my husband’s golf balls practically every shot. They also were so attentive, setting up the balls in a makeshift tee from grass tufts. The ladies were great sports. The courses were gorgeous. 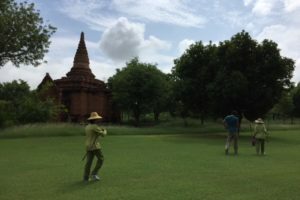 In Bagan, the course is situated among the famous pagodas so we enjoyed weaving our cart through these historic monuments. 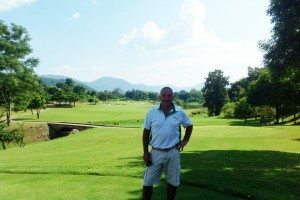 The Inle course was expansive and was very well-maintained. The weather was also cool here, but it started pouring rain around the 6th hole. One of my fondest memories of the trip will be how we careened down the course, making a beeline for the clubhouse as we all got drenched—especially the caddies, as they clung to the back while the rain pelted them. 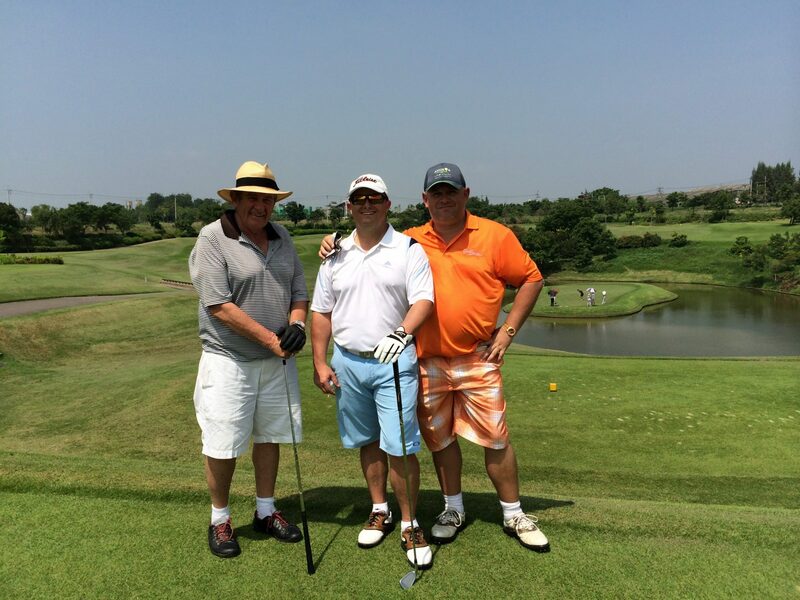 We gave up our golfing ambitions for the day once the rains hit, but we had a fabulous time. GolfAsian made our vacation effortless and so enjoyable. The group consisted of my husband, our 15-month-old baby, my mother, and me. I was a little worried that the itinerary was too hectic (three cities by plane in a week), but the organization made travelling a breeze: someone was always waiting for us on the other side, our guides were compassionate, responsive and informative, and all we had to do was show up. In Yangon, we were booked in a fantastic, spacious hotel called the Rose Garden. Our guide showed us some of the heritage buildings downtown, and gave us a tour of the famous Shwedagon Pagoda. We found Yangon to be lush, clean, vibrant, and full of friendly people. We had a great time visiting the market and buying jade, Buddha statues, paper umbrellas and other quintessential Burmese souvenirs. 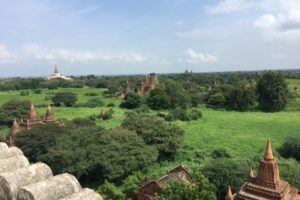 In our next stop, Bagan, we explored the ancient Buddhist monuments that pepper the rustic city. Tharabar Gate was easily one of our favorite hotels, and we enjoyed the amazing spread of local cuisine (as a vegan, I especially enjoyed the local chickpea-based tofu and fresh carrot salads. The peanut sauce in Myanmar is the stuff of legends. My husband, on the other hand, couldn’t get enough of the fish). My mother and baby had a delightful time going through the green countryside in a horse-drawn carriage. Our last stop was the Inle Lake region. There’s simply nowhere else in the world that can compare to this unique spot: they have floating gardens and an entire city built atop the water. Visiting these sites by boat was such a special experience that even the later rains didn’t damper the mood. 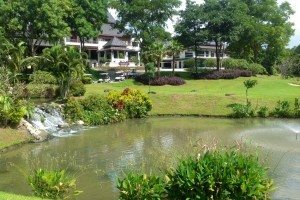 Though the hotel didn’t have the best variety of food and the WiFi was intermittent, (as is the case in most hotels, was our understanding) the grounds were lush, expansive, and made for a beautiful walk. 8 days later, we all felt like we got the full Burma experience. We had a delightful family vacation! Hi, my name is Tony Spanjers. As you can see from the photo we were a group of sixteen, made up of “Captains and Presidents”, Captains being Orange and Presidents being blue. 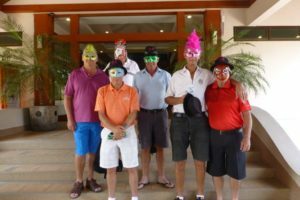 We played a two ball match play stableford format with Captains prevailing on this particular trip. 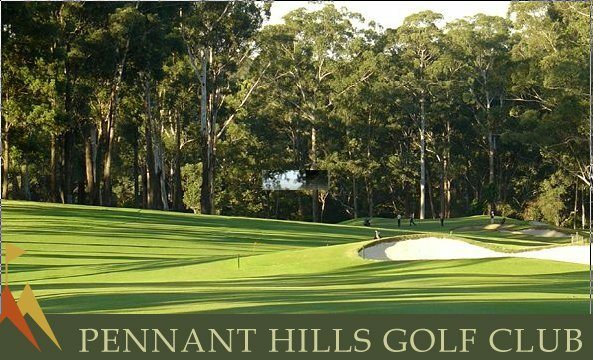 We are all from Perth, Western Australia and are members of Araluen Golf Resort, which is situated in the hills South East of Perth. Those of us who are no longer working generally play every Saturday and Wednesday together. Our handicaps range from 7 to 27, so a fairly diverse mix of ability. 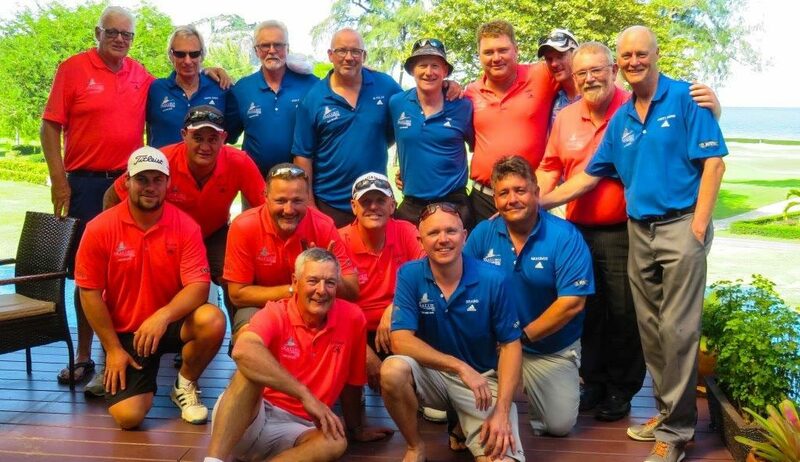 For some time have been touring as a group, with numbers varying between 12 & 16, every year in July or August [winter in Perth]. Each year we choose a different tour director and different location. 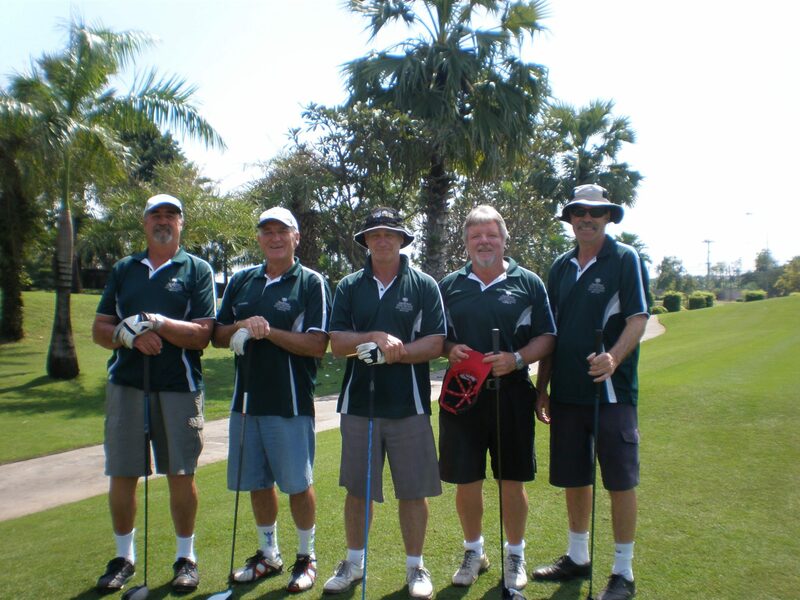 Last year we toured and played golf in Da Nang Vietnam, and 2014 we were in Pattaya. We have also been to China’s Mission Hills, New Zealand, the Gold Coast Australia, and sand belt, Melbourne Aust. 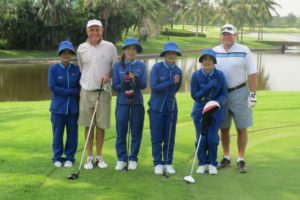 We were all very happy and impressed by our Hua Hin golf tour, in fact we considered it our best tour yet from all angles. Prices were very reasonable (important as a few of our members aren’t working). 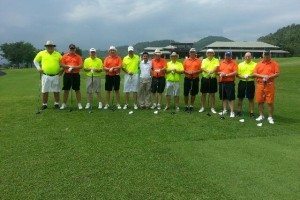 The golf courses were excellent, especially Black Mountain Golf Club and the management of our itinerary and transport plus tee times was exemplary. 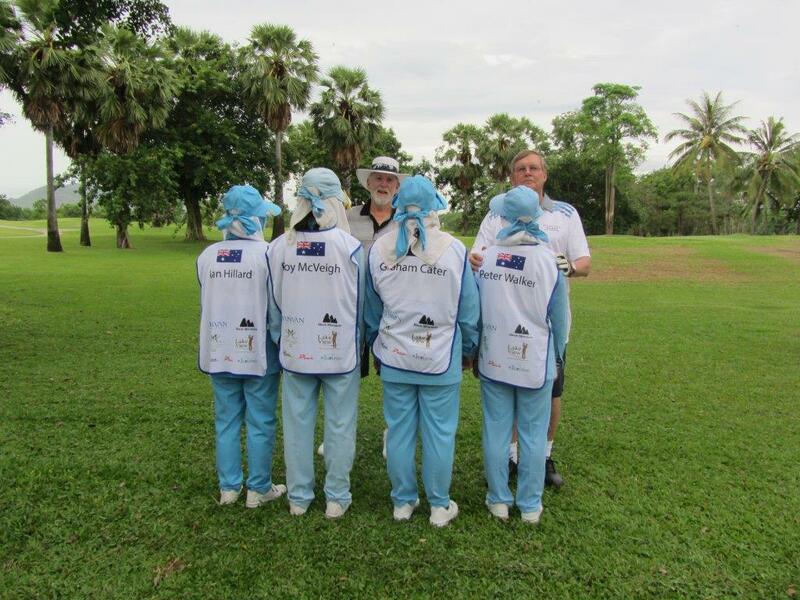 Our only concern was the condition of the greens at Sea Pines but overall we were very happy with the caddies, the weather [only got wet once], the hotel which was in a great location in the centre of all the entertainment venues and had the most friendly staff, plus the Thai people in general. Our best score was a 49 points which was outstanding, from memory first game at Black Mountain…it wasn’t me! After every round, we enjoyed group beers, ate lunch, and collated scores and updated team positions, paying out prize money to first, second and third as well as settling personal bets. Back at the hotel it was a quick change and head for the pool’s swim up bar for a couple of hours. All would meet in the lobby around 8 pm and head off into the night and choose a local restaurant for dinner. After dinner some headed back to hotel, some to a nightclub or pool bar, eventually all ending up in bed ready for the battle to resume the next day. As I said, it was a great trip and one to remember. I’m confident Thailand will feature in future outings. 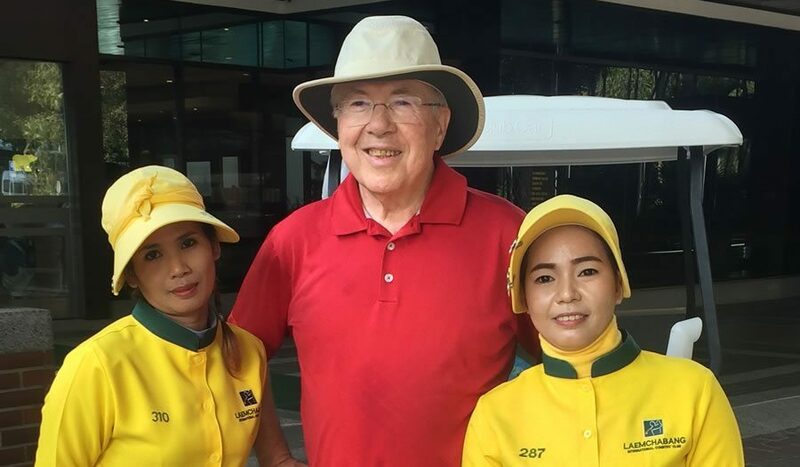 My name is Graham Cater, an Aussie who plays Southport Golf Club on the Gold Coast of Australia. 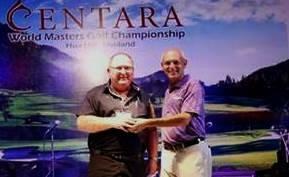 It is there I hone my skills and test my mental strength to ready me for our annual Thailand Golf Tour. 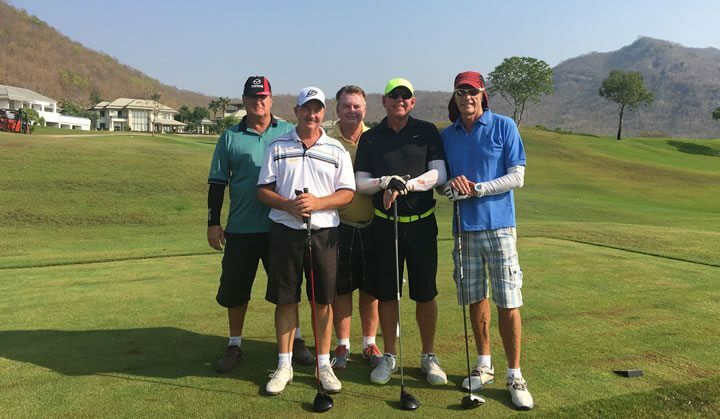 Playing golf in Thailand is not just about the game it is an exotic experience that has left me with the most wonderful memories from the Land of Smiles. 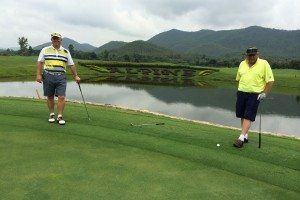 Now I don’t always play well and I have been known to miss the odd easy putt but nothing can stop the enjoyment I get playing on some of the best golf courses in Asia. 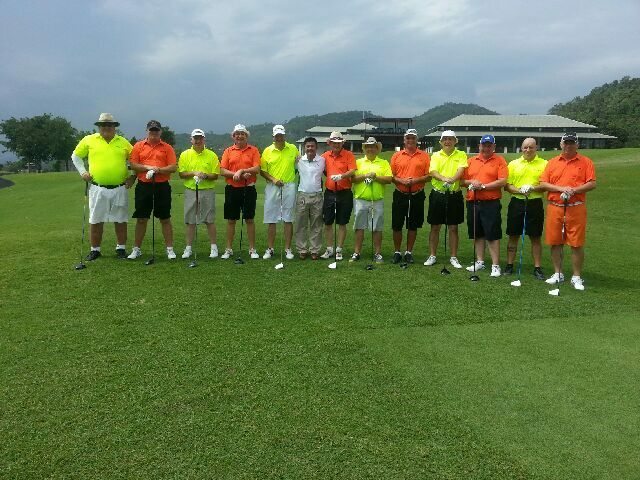 I first heard about golf in Thailand and Golfasian whilst playing with a group in Singapore. It sounded exciting and the more I investigated the practicalities of putting a tour together the more enthusiastic I became. 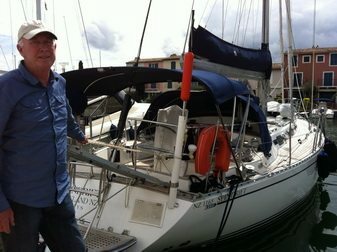 Then it all came together in March 2012. 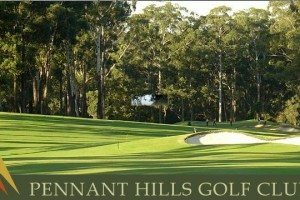 I had contacted Golfasian and received a quick response from Bee. 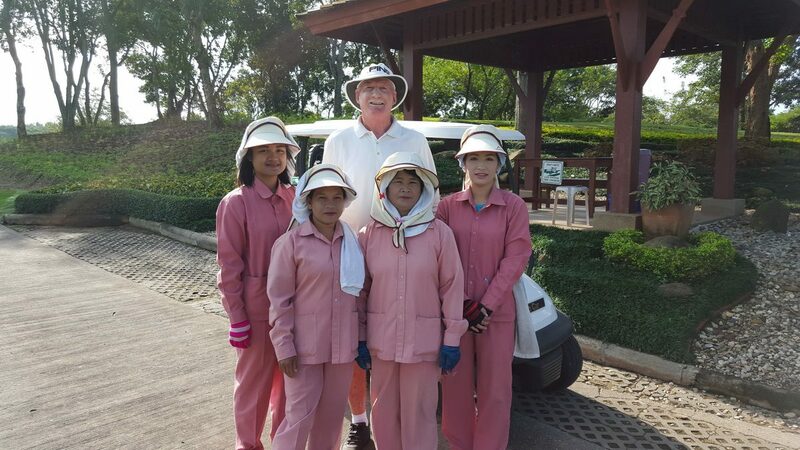 I was amazed at the efficiency with which Bee put our first golf tour in Hua Hin together. Local travel arrangements, hotels and golf all materialized without a hitch. Five years on and Bee is still looking after our group. 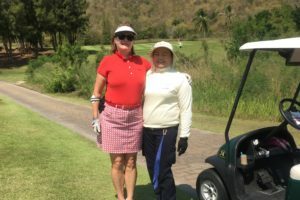 She has become our good friend as have many of the wonderful staff of Golfasian. 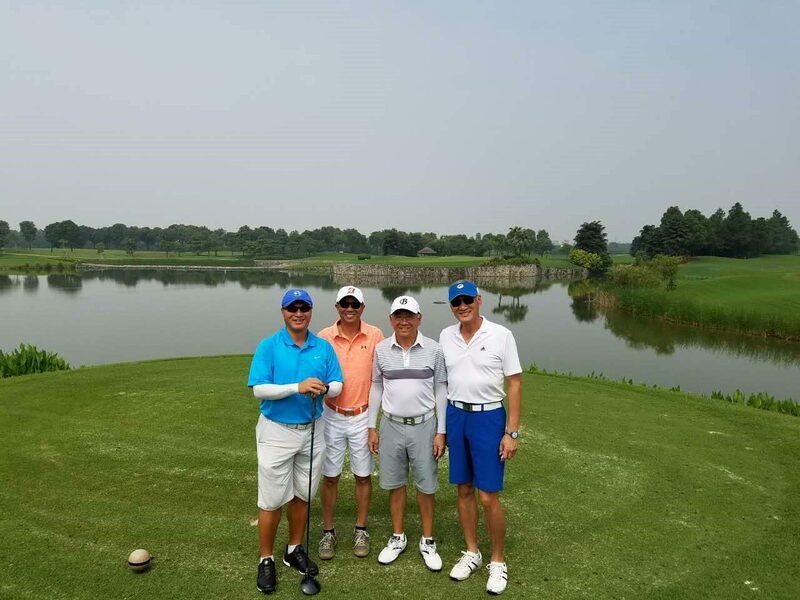 Currently we are considering Malaysia, Vietnam and Cambodia for an extended tour, all of which are covered by Golfasian with their own in-country staffs. 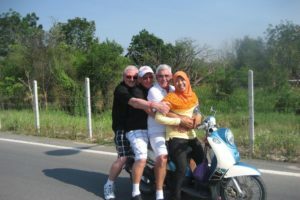 What makes touring so easy with Golfasian is their awareness of your individual needs. This is integral to their business model. There are no compromises, no snags and no surprises. Thailand is a beautiful country with a wonderful culture. 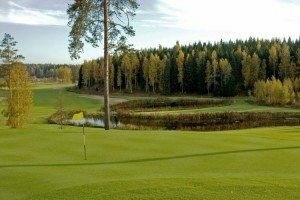 The people are most welcoming, the food is sensational and golf courses are magnificent. I love the green curries, Pad Thai and the tasty whole fish with an accompaniment of shrimp and lobster, all washed down with a cold Singha beer. What is surprising is how little it costs to have such a spread of dishes. 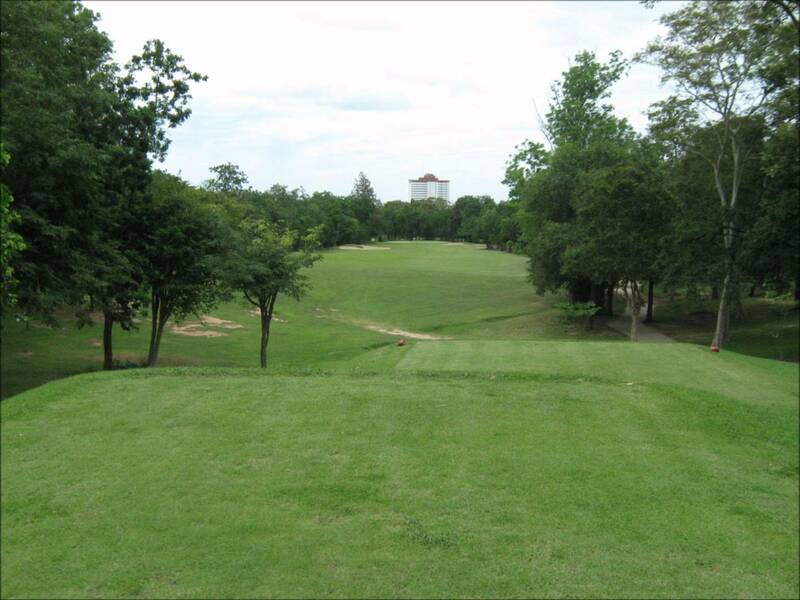 We play courses in Chiang Mai, Pattaya and Hua Hin. 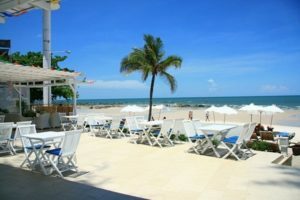 We consider Hua Hin our home-from-home destination. 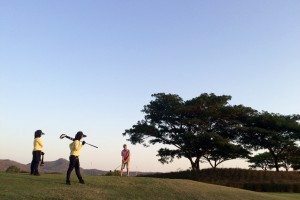 The sweeping fairways of the Pirapon Namatra-designed Banyan offer golfers a world class experience in spectacular surroundings. 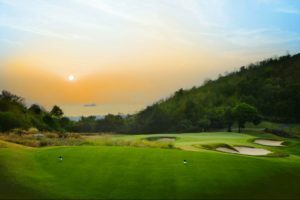 The championship course Black Mountain is everything you would expect and is acknowledged as the best golf course in Asia. 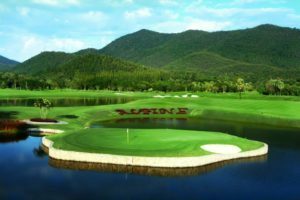 Hosting both Asian and European Tour events it has won a string of international awards and is my favourite course. Gassan Khuntan in Chiang Mai is in a truly exquisite setting located in the northern mountains of Thailand. 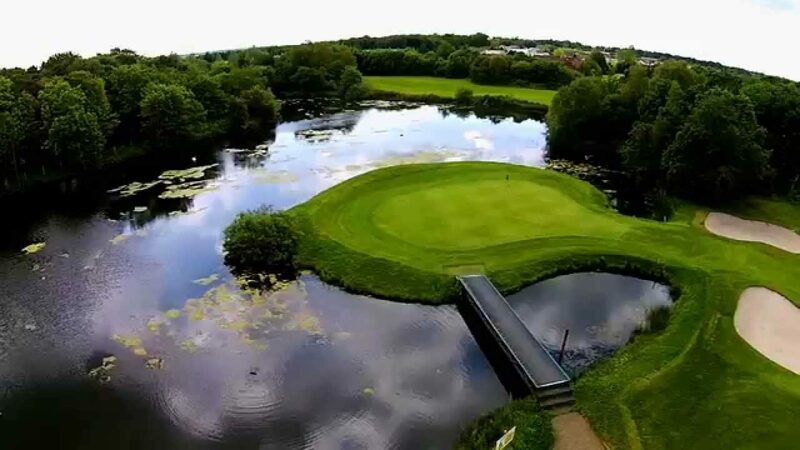 The extensive water hazards will challenge most golfers so bring your best game to this course. It is shameless and can strip away your dignity, but what a pleasure. 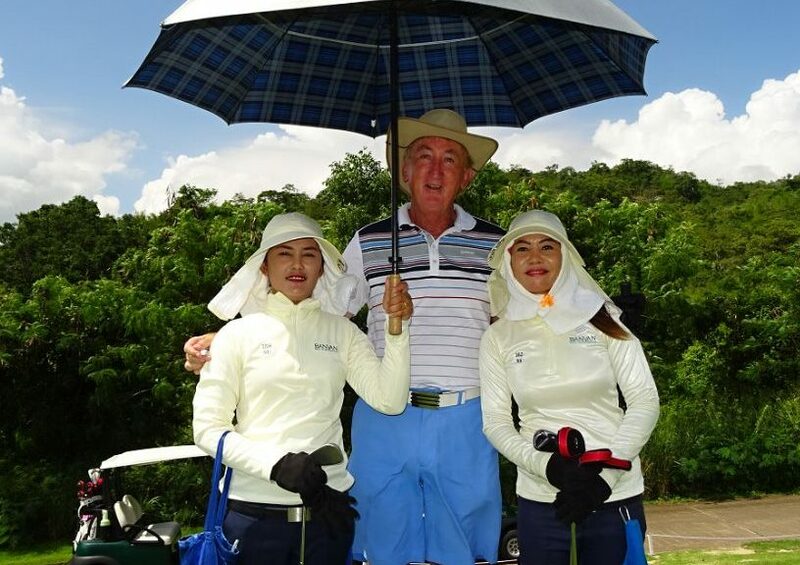 You cannot talk golf in Thailand without recognising the delightful Caddies. Those gentle people who give intuitive advice, moral support, best club selection and playing strategies to suit the course and your game. My experience tells me to listen and follow their wisdom. From the mountains to the sea there is a golf course in Thailand for every golfer. It is such a relaxing experience, it is beautiful and such fun. 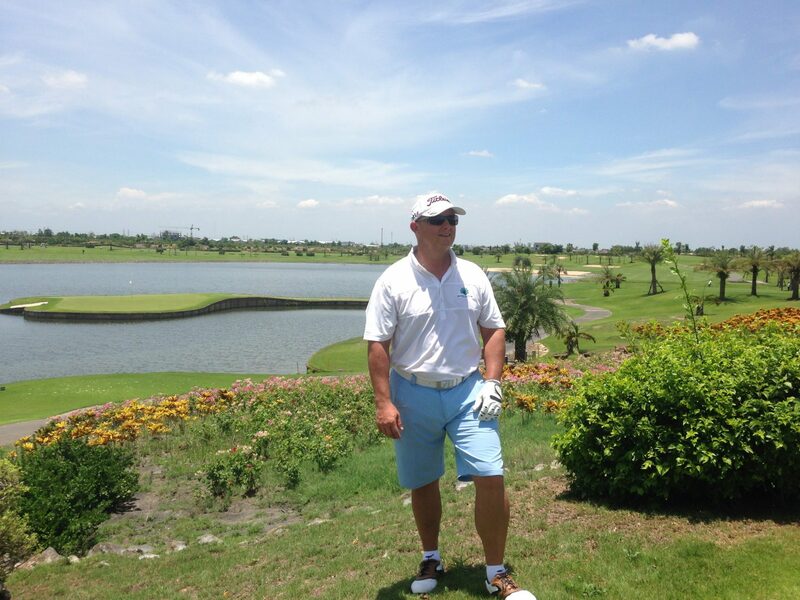 Golfasian cannot improve your golf but they can give you a golfing experience you will never forget. 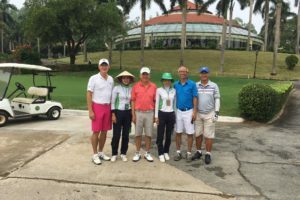 I have recommended 60-70 golfers and friends who have also enjoyed the Golfasian experience and all returned with the same praise. Thanks for providing such outstanding service.